Dimitri is devoted in creating a unique and unforgettable experience for his clients. 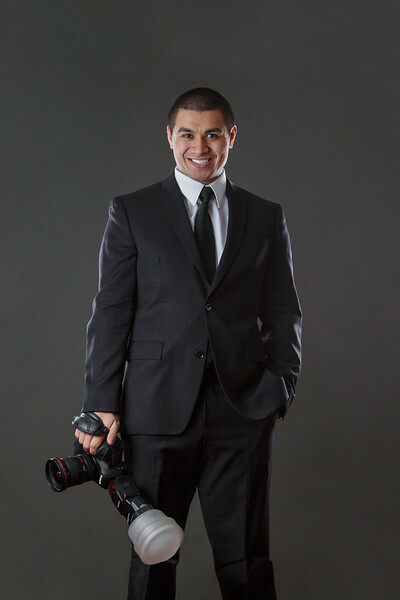 His ability to develop a friendly atmosphere helps bring out personality throughout his photographs. Whether it's discreet and candid or posed and traditional, Dimitri will provide nothing but life long memories for your upcoming portrait session, Sweet 16, or private event. What started as a hobby led to a full time career. Dimitri has always been passionate about Visual Arts. When asked by a friend to photograph an event, he was captivated by the energy and the emotion of people, the party, and its surroundings. Dimitri fell in love with photography and hasn't stopped since. With his creative eye, Dimitri loves nothing more than sharing this artistic passion with his clients.